The concert was part of Sarah Geronimo’s Philippine Concert Tour where she performed in Cebu with guests Billy Crawford and Mark Bautista. Sarah Geronimo has literally transformed our very eyes. After winning Star for a Night and proving that she was a born singer, she has also conquered the dancing scene proven by her sold out concerts all around the Philippines. After that, she conquered the box office with her quirky and natural acting with A Very Special Love and You Changed My Life with John Lloyd Cruz. She is definitely one of the most talented young entertainer today. This is great. shes awesome.. 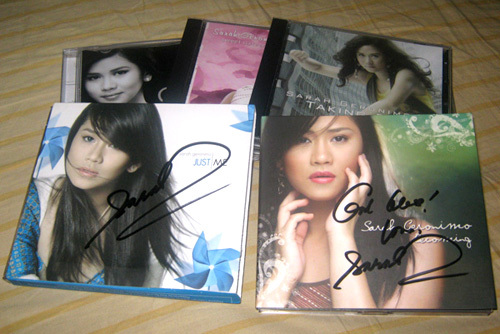 I am also a fan of Sarah Geronimo. Her innocence and her bubbly projection plus her singing prowess really made me a fan of her.